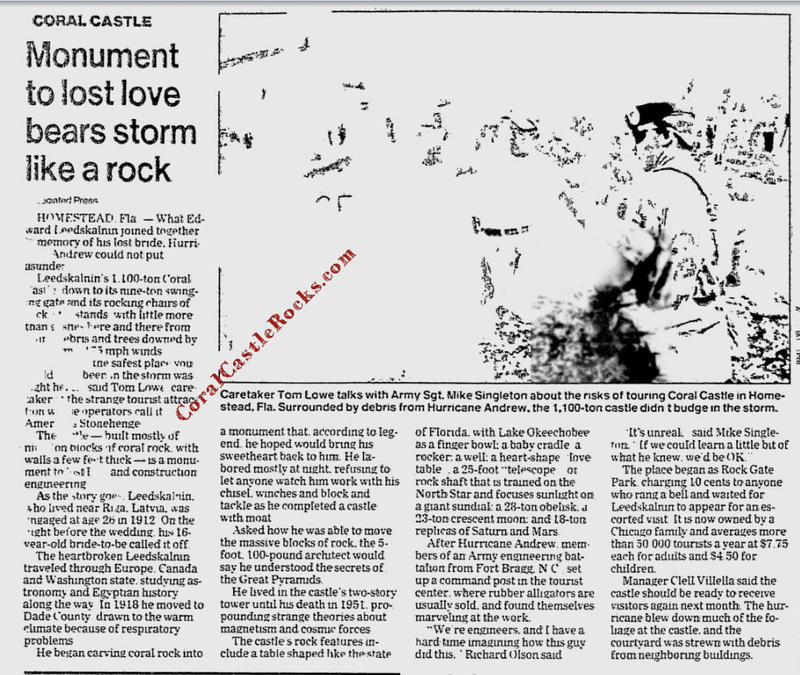 Newspaper Clip after Hurricane Andrew - Coral Castle will stand forever? This is a clipping from the newspaper "The Deseret News", published on Sep 23, 1992. It is titled "Monument to lost love bears storm like a rock". After hurricane Andrew, Coral Castle become even more famous for not budging an inch. But remember his rocking chairs and swinging gates would move at the slightest touch!